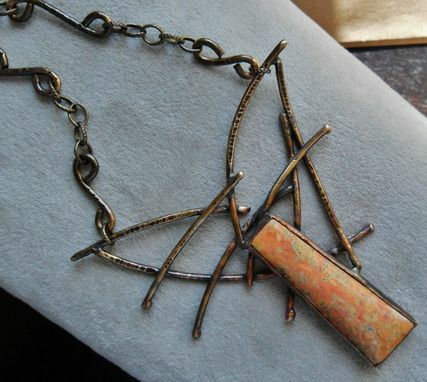 Creamy peach colored jasper stone set in darkened copper and the striking centerpiece for this brass necklace. 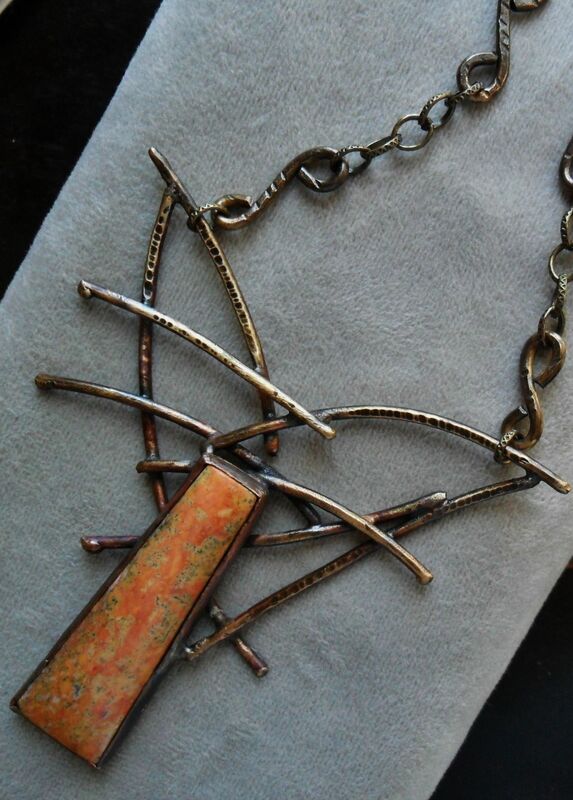 Each piece of brass wire is textured with a chisel and the ends are melted to leave round edges. 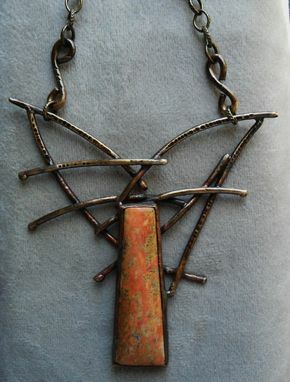 The chain has mixed links of vintage brass as well as handmade brass wire links also textured. A darker patina is added to the brass and it is sealed with a non-yellowing jewelers clear lacquer. 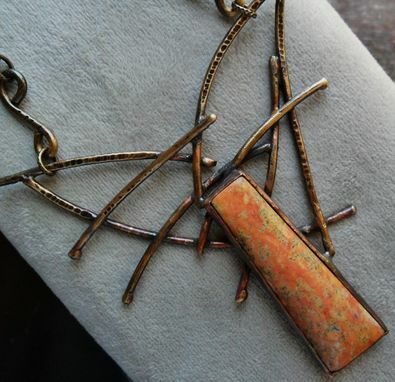 The centerpiece of wire and stone is roughly 3 x 3 inches and the chain is adjustable with a handmade hook clasp, roughly 16 - 17 inches in length.